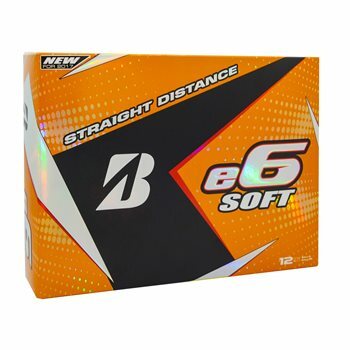 The Bridgestone e6 Soft golf ball is designed to produce low driver and long iron spin for incredible straight distance. The construction of the ball combines the e6 SOFT which allows smoother air resistance around the ball with the new Delta dimple designed for straight distance. Your selling e6 golf balls 2 DZ for $40 but only have 1 DZ e6 soft in stock. Can I get 1 DZ e6 Soft & 1 DZ e6 Speed for $40? Yes, you can combine models and colors, provided both dozen are on the promotion.